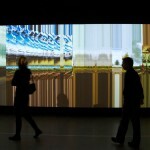 The museum Boijmans van Beuningen invited the artist Geert Mul (1965) to create an interactive installation. 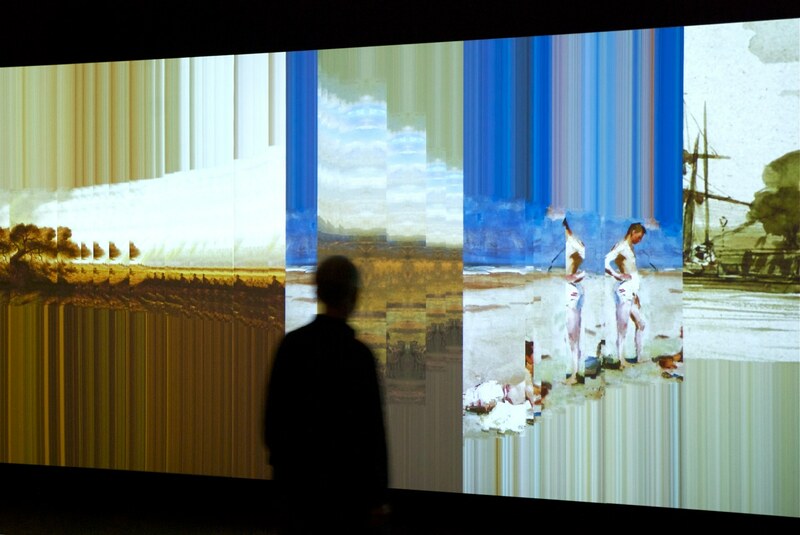 ‘Horizons’ is an intervention within the museums classic collection: Collection One. 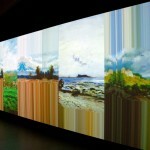 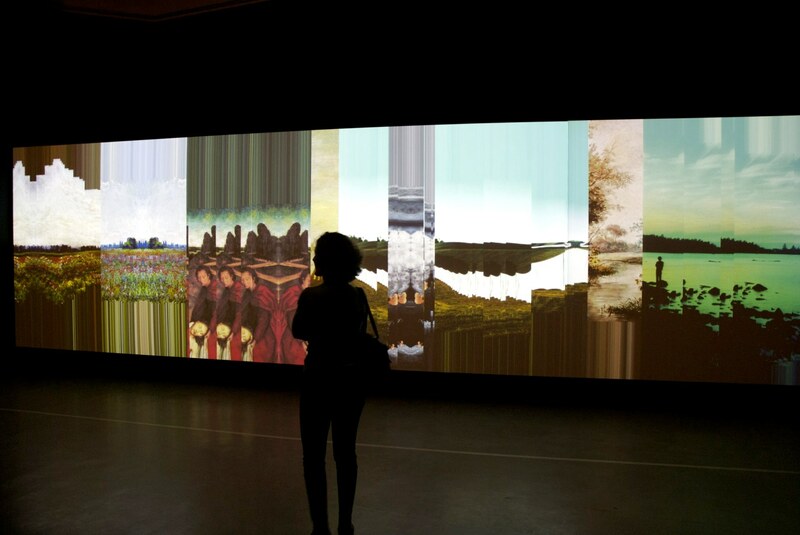 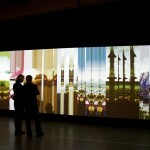 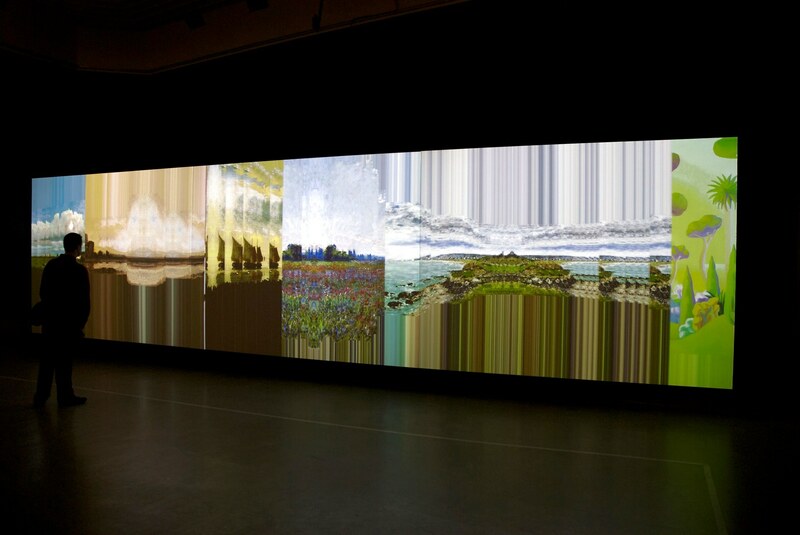 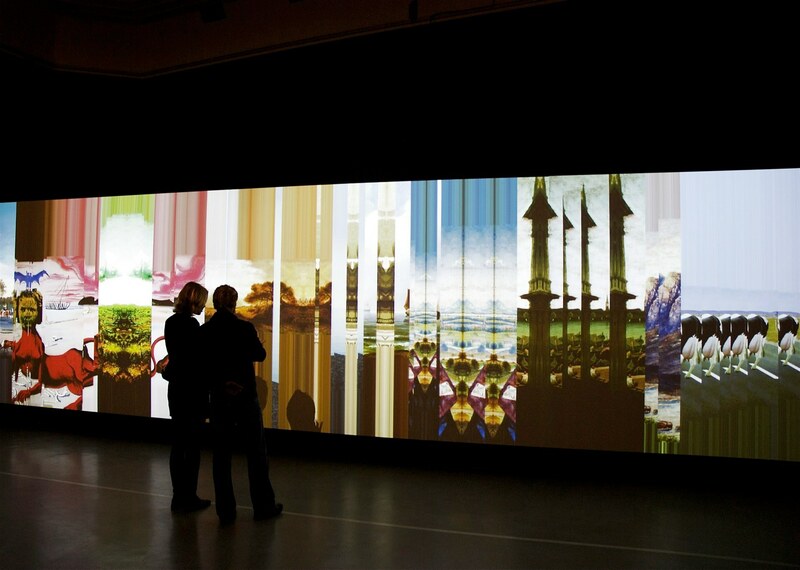 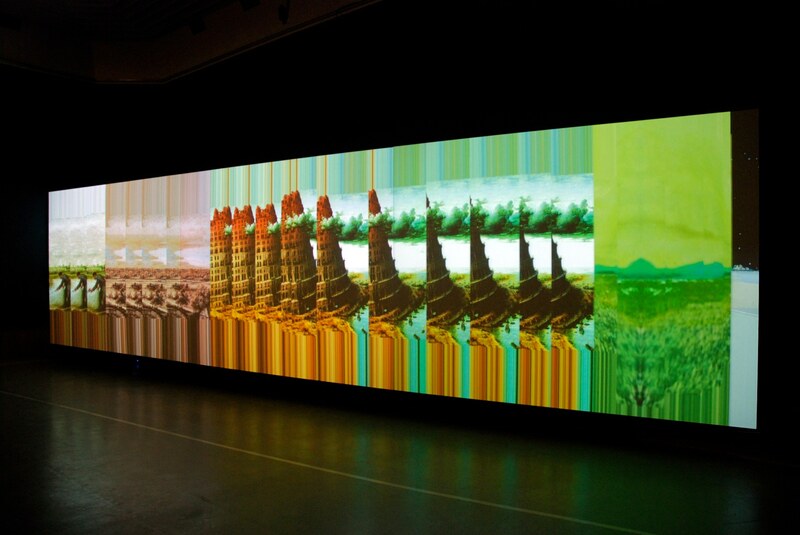 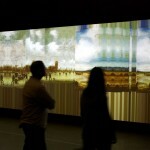 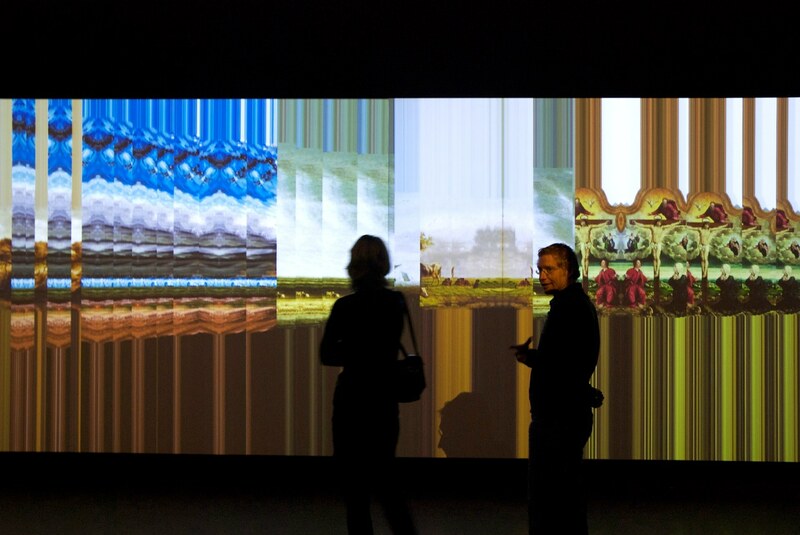 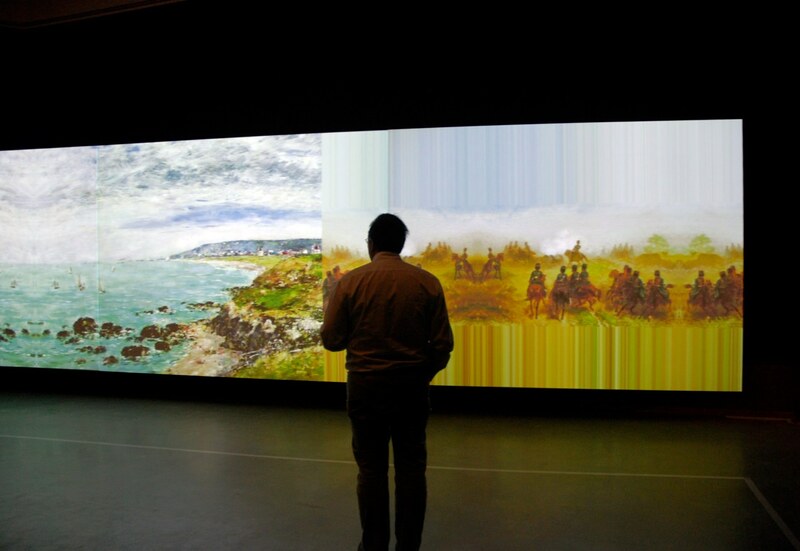 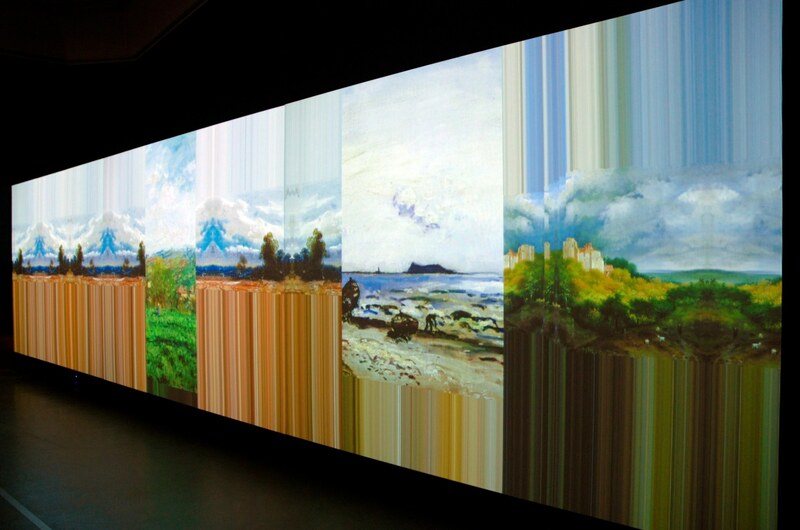 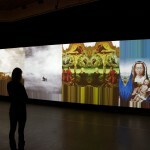 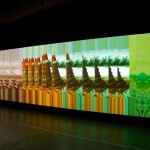 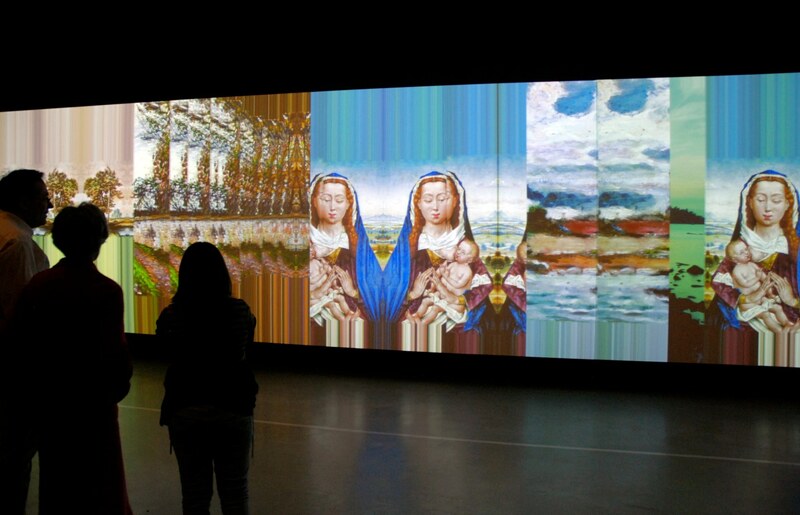 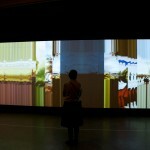 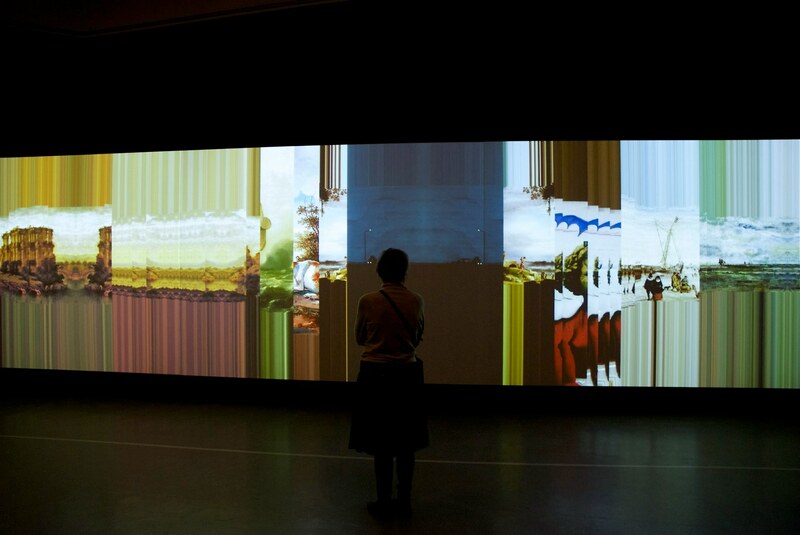 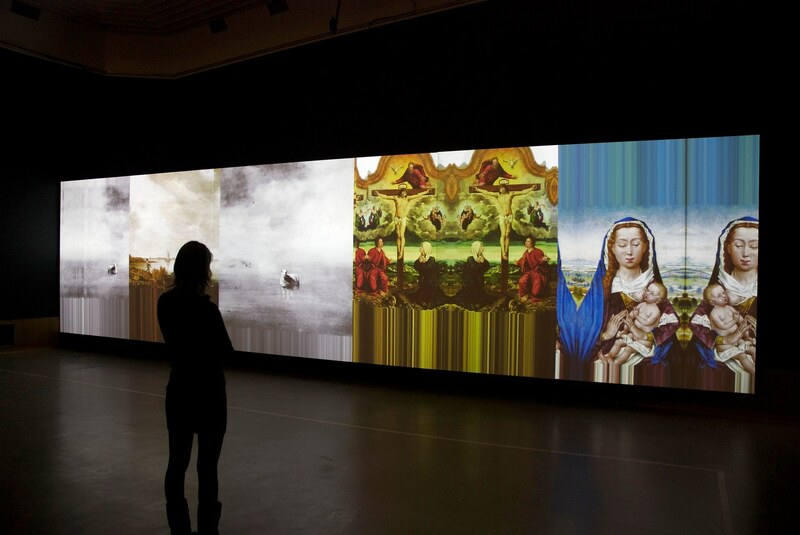 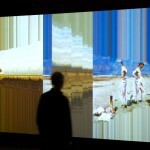 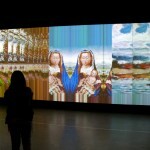 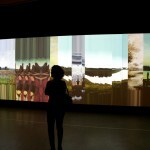 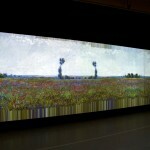 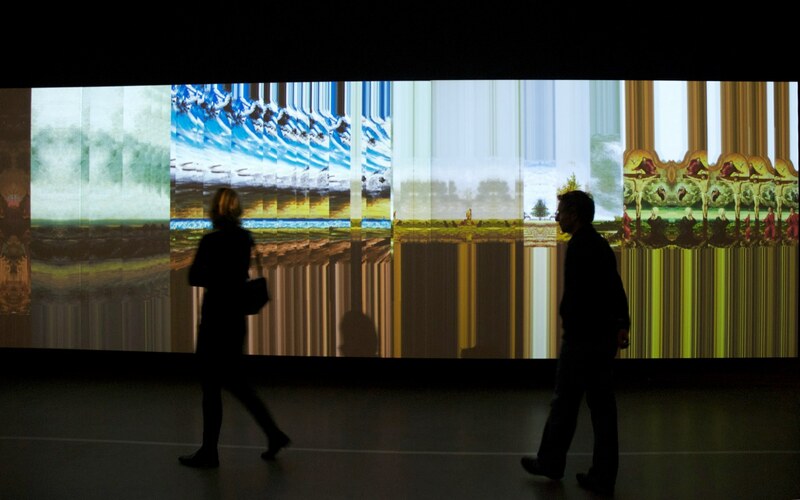 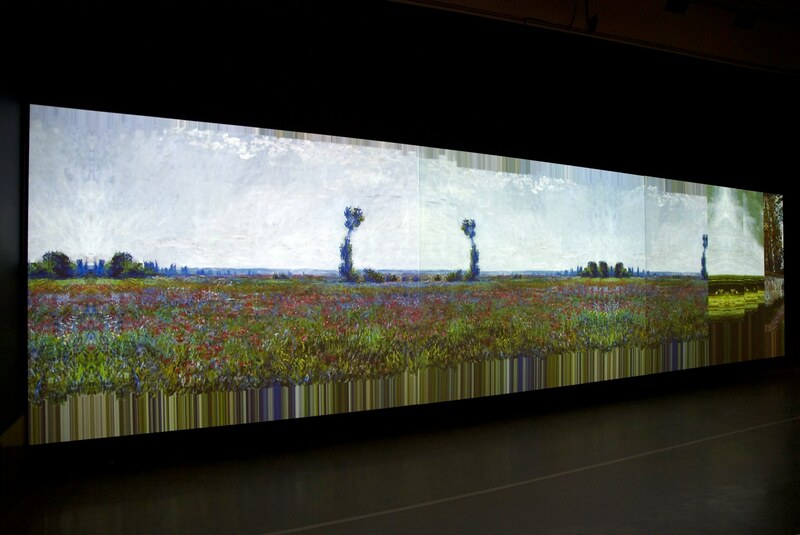 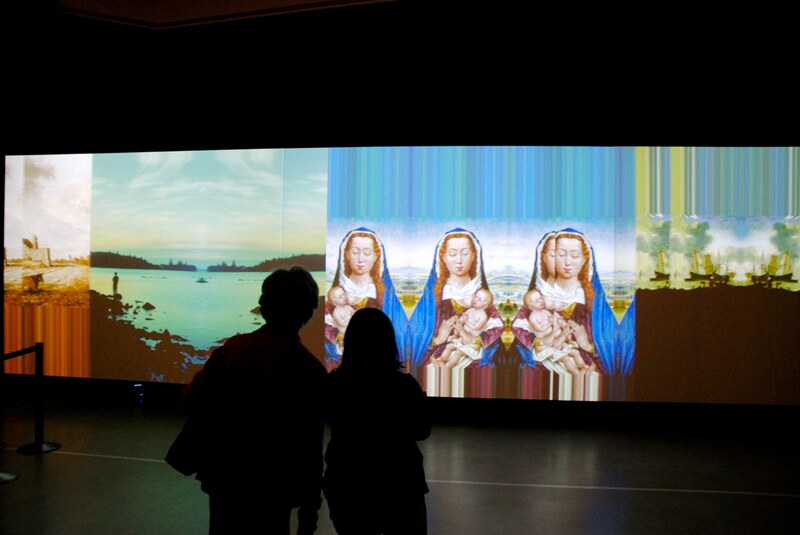 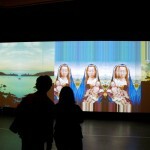 Geert Mul selected works of art from the Museum’s collection that feature a horizon and stored them within a database. 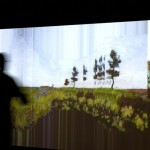 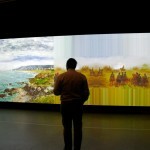 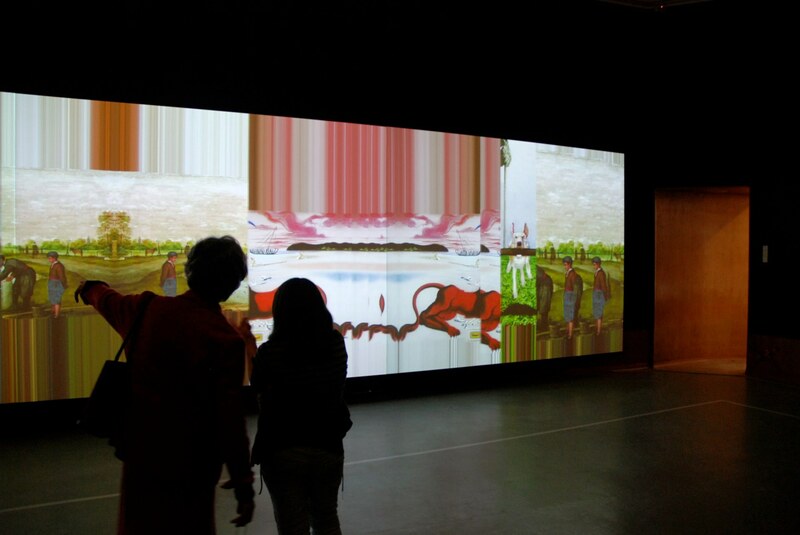 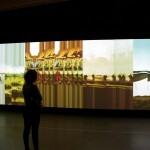 Specially developed software fuses the horizons and processes them into projections on the wall. 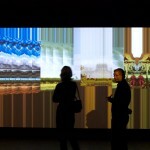 Visitors activate the work by moving through the space. 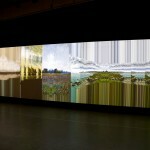 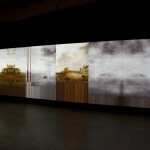 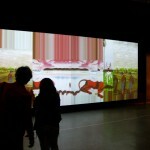 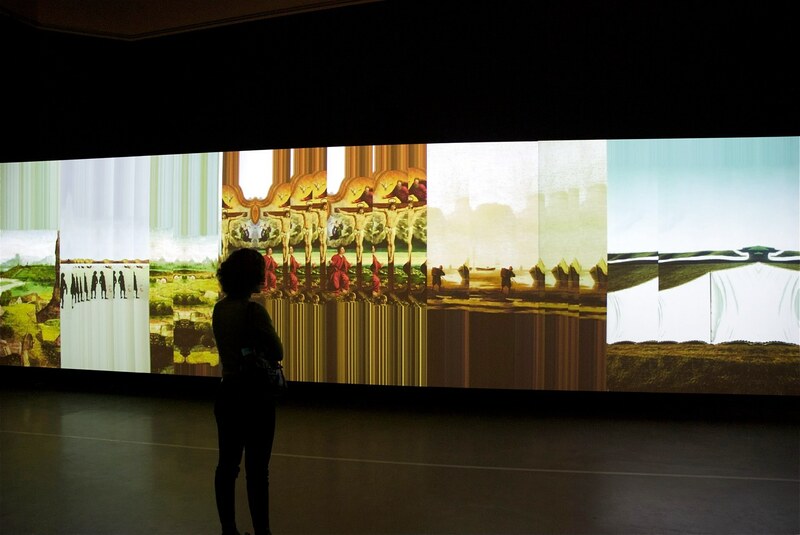 As they approach the projected image, the landscapes fragment, thus establishing a direct link between body and image. 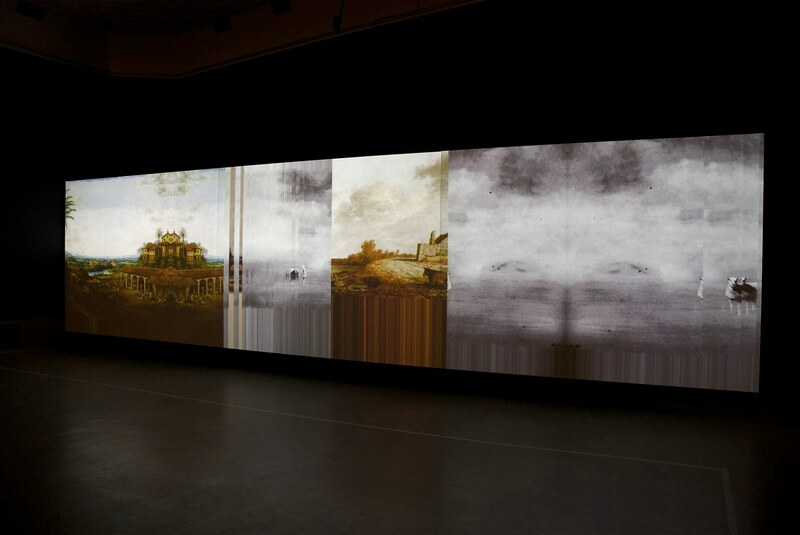 Representations of landscapes from the entirety of art history pass by on the horizon. 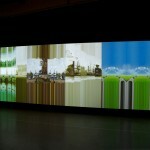 Geert Mul specialises in the using computers to make visual art and was one of Holland’s first VJs at dance parties in the early 1990s. 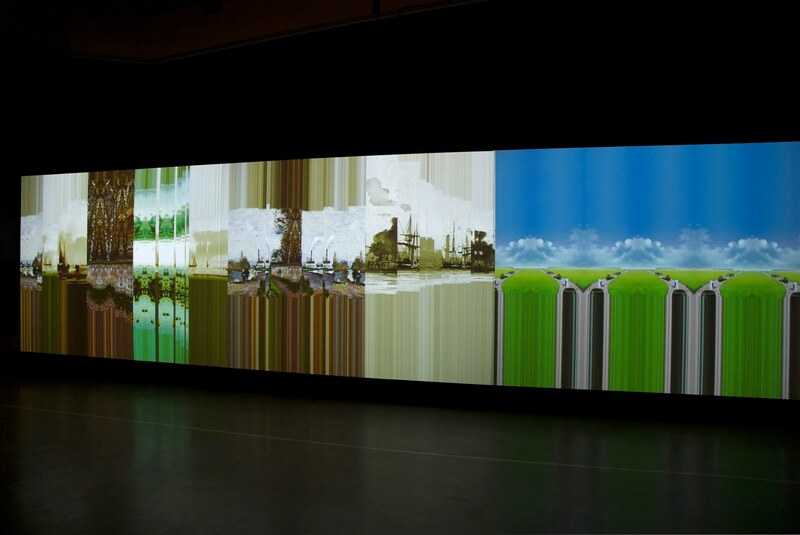 In his recent installations he has brought order to the endless flow of images that assail us via the internet, television and digital photography. 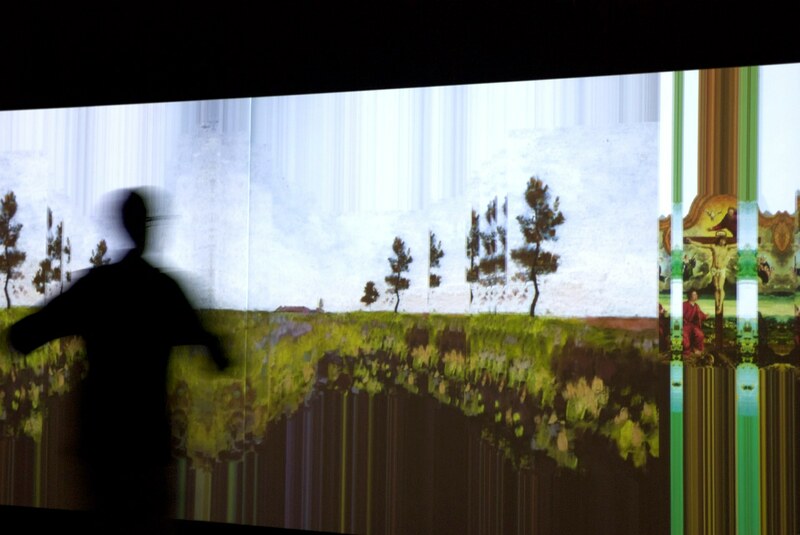 Mul investigates visual language, how we construct associations from dynamic combinations of images and how they affect our emotions. 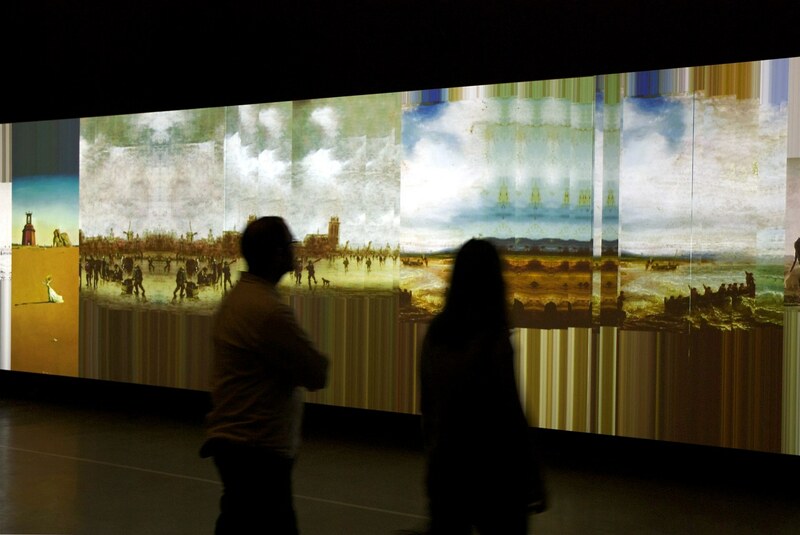 The installation Horizons was inspired by the 1999 installation of Ger van Elk in the same Museum in which a series of paintings were grouped and aligned by their horizons.